FIUTS Facilitators are student leaders from all over the world who welcome new international students, help organize events, and lead activities for hundreds of students each quarter. 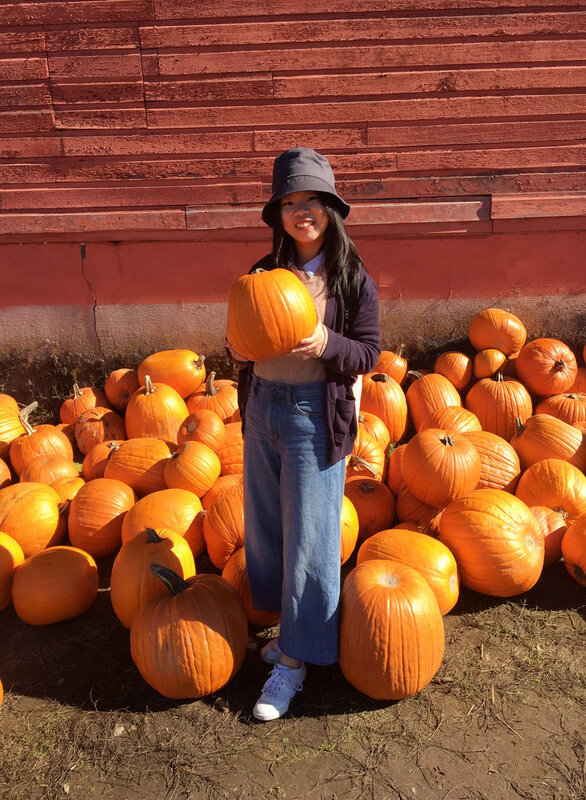 Read on to find out more about the FIUTS facilitator experience from Yujun (Yolanda) Tang. Hello, I’m Yujun (Yolanda). I’m from China, and this is my fourth year in Seattle. I like the cherry blossom in spring, I love the great picture of the mountain behind the Drumheller Fountain, and I appreciate that my college life gives me chances to always meet new people and they are willing to share stories with me. In my college life, I’m glad that I get supported from friends and I can support others. I’m proud that I achieved my goal to become a cross-culture collaborator by leading events like the FIUTS Camp to help build connections between new students from different culture backgrounds; a self-challenging learner by taking a public speaking class COM 220 to walk out of my comfort zone and became the only student in class who finished all speeches without any notecard; and a versatile peer mentor by joining the Dream Project to encourage students from low-income communities to be positive and continue their education. And I will continue to learn how to become a good leader and help others. What Does It Mean to be a FIUTS Facilitator? I became a facilitator because I got a lot of help from FIUTS. I grew up in China, and even though I prepared a lot, I still experienced language problems and culture shocks in my freshman year. Due to language problems, I missed out on social life and extra-curricular activities because I struggled with acute feelings of social anxiety, self-hatred, and fear. The change happened when I participated in the FIUTS Connections program. I met a group of nice people. They tried to understand me patiently and encouraged me to talk more. They helped me to understand that I was not the only person struggling in the new environment. And they convinced me that I can always get support from friends. This experience encouraged me to become a facilitator and I facilitated the Connections program in another year. Now I have access to be supported, and I can support others by being a FIUTS facilitator. This is the best feeling I could ask for! I was a facilitator for the Portland Global Getaway trip. 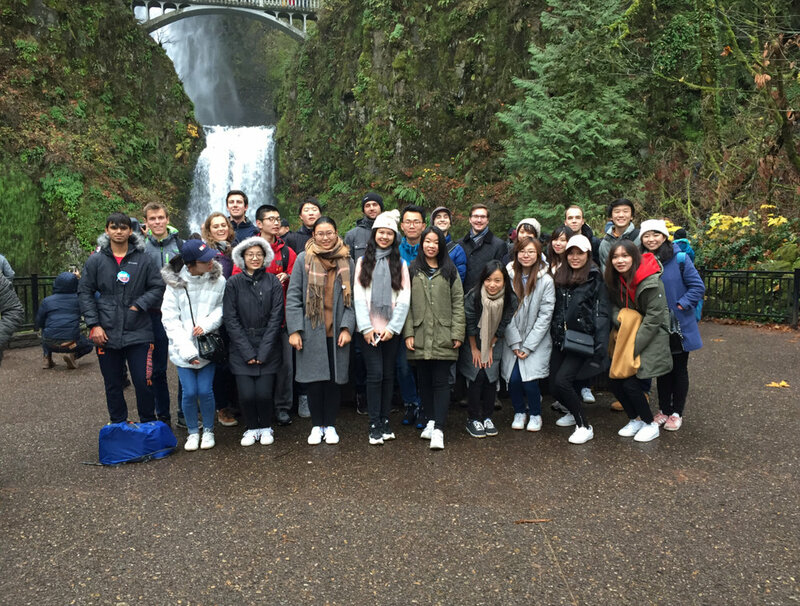 My favorite part was seeing the students were having such a good time exploring Portland. We saw the tree-lighting ceremony, visited the Japanese Garden, took the aerial tram, went shopping at outlets, enjoyed food and music at the Saturday Market, ate Voodoo Doughnuts, etc. OMG! We did a lot together and I was so proud when participants told me they really enjoyed the trip! You can tell this was one of the best experiences that the students had during Thanksgiving. During this three-day trip, I also learned how to organize a long-time event. I can’t forget that all facilitators met every night to discuss the plan for the next day, I can’t forget that each facilitator led a group trying to take care of all participants, and I can’t forget that we reserved a restaurant for 20 people and we had dinner together as a large group. How have you grown as a leader through being a facilitator? I’m proud that I’ve volunteered in FIUTS for more than 150 hours. I think empowering others means a lot to me to be a leader. I remember at the bottom of the FIUTS emails, there is a quote from John Adams: “If your actions inspire others to dream more, learn more, do more and become more, you are a leader.” Being a leader doesn’t always mean leading; we need to know when to step up and step back. Instead of being the one who talks forever, we need to step back and create chances for other people to talk and make friends. Also, when people don’t know how to start a conversation or need help, we should step up to get conversations moving between them. This skill also helps me in other positions such as being a FIG Leader. I need to have ability to control the class, but I also should know when to give students time to talk, learn and do things they want to do. I don’t think being a facilitator or a FIG leader really means leading others, but means inspiring others to learn, dream and achieve more! I remember that when I facilitated my first event, I was nervous and had no idea what I should do. However, by facilitating more events, I became more confident and can make better plans, deal with emergencies like the driver couldn’t find us, communicate with all participants and other facilitators. Helping others makes me feel happy and trusted, especially when my participants told me they enjoyed the events and they made new friends! Therefore, I want to encourage new facilitators to get as involved as possible. Nobody can do perfectly at the first time but you will grow as a leader and a person through FIUTS. Also, when you have questions, ask experienced facilitators to get help and be heard. Let yourself be supported and then support others. You're important and you can achieve more!